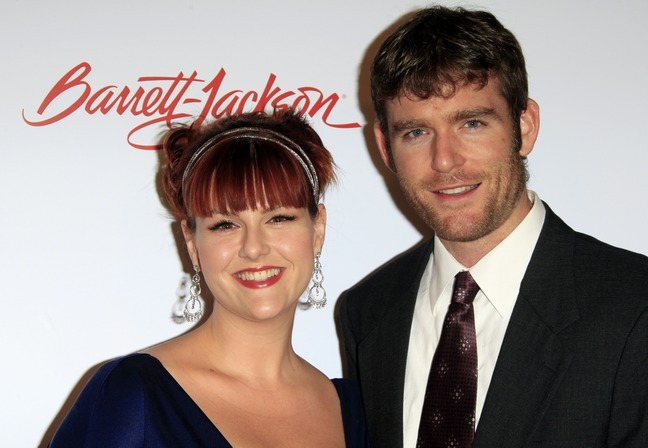 Actress Sara Rue Married Kevin Price This Weekend! Sara Rue and her beau Kevin Price tied the knot on Saturday night. The 'Rules of Engagement' star married her longtime boyfriend in a sunset ceremony at a club in Pacific Palisades in front of about 100 guests. One of the wedding guests shared: "Guests looked very touched by all the love, and a few tears were even shed. After being pronounced husband and wife, the couple shared two long romantic kisses. The newlyweds danced down the aisle together hand-in-hand to 'Everlasting Love' while guests cheered and clapped." Sara reportedly went with a hummingbird theme for the wedding.